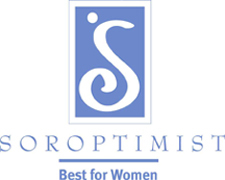 The Soroptimist Club of McMinnville has grant funds available to assist local non-profit organizations and community members with specific projects that align with the Soroptimist club’s Vision, Mission, and Core Values. Grants generally range from $100 to $2000 and must focus on one or more of the Soroptimist club’s focus areas: Economic & Social Development, Human Rights, Education, Environment, International Goodwill and Understanding. Grant applications are reviewed and considered as they arrive. The Soroptimist Club’s fiscal year runs from July t through June 30, so it is best to apply as early in the fiscal year as possible. Our approval process can take up to two months. If your project meets our criteria, it will be funded fully or in part, depending on available funds. For more information, contact the Club President.